There is a 10 step system to create any habit covered in the second half of this post. Before we look into how to form a habit with the 10 step system, it is important to understand why habits fail and the elements required to make it work. When people want to bring about a change in their life, they make new goals instead of learning how to form a habit. This is why most people fail. When we want to change, we often seek a result by forming goals. Though they give us direction, focusing on goals and chasing after the end result often leads to failure. Goals have a deadline. When we don’t see the exact results we want before the deadline, it will make us feel like a failure, even if we have come a long way from where we were when we started. Goals fail to bring lasting change. People develop the habit of running in the morning with a goal to run a marathon. Once they complete the marathon, they return to their old lifestyle. Instead of working on goals, work on building your identity instead. This means instead of focusing on achieving the result you desire, you focus on building the identity of the person who will be able to achieve the results you desire. If you focus on developing the identity of someone who works out regularly first, you will not care about results and will focus only on not missing your workout schedule. If you never miss a workout, you are going to get into the best possible shape. There is no doubt about it. When you focus on your goals, you are putting off your happiness until the milestone is achieved. But when you focus on creating your identity, you will have a sense of accomplishment every time the daily habit is completed. Forget the goal. Build your identity first by being consistent. Building an identity by being consistent becomes easy when you know how to form a habit. The brain will try to make any behaviour a habit because habits help the brain save effort and energy which can be devoted to more advanced things like inventing planes or playing video games. Without habits, our brains will be overwhelmed and would shut down because of the number of minute things it has to take care of. If you learn how to form a habit and use it to work towards your goals, you will sprint through the maze of life to reach your desired end without thinking about it. Habits eliminate your reliance on willpower and motivation to do the important things in life. If you have the habit of exercising as soon as you wake up, you are not relying on motivation or willpower to do it. You will do it effortlessly without thought. Forming new habits will feel effortless with the 10 step system covered in the second section of this post. But many people fail when they try to build new habits because they rely on motivation to stay consistent. The secret to the consistency required to form a habit is something else. When we think about being consistent with our habits, we think motivation is key. But motivation is one thing you don’t need for success. The first group were asked to measure how many times they worked out in the next 2 weeks. The second group in addition to being asked to track how often they exercised, were also asked to read a pamphlet on the benefits of exercise. This was designed to motivate them. After 2 weeks, 38% of the participants in Group 1 and 35% of participants in Group 2 exercised at least once a week. But 91% of the participants in Group 3 exercised at least once a week. Motivation did not help Group 2, but a plan of when and where to exercise helped Group 3. What helps you stay consistent is not motivation but a definite plan containing the time and place for your habits/ behaviour. Without a plan, your mind gets fatigued because it has to make a lot of decisions even if they are small ones. 5 When you decide to make something a habit it is a decision you make once and you don’t have to make that decision ever again. People still fail to form habits in spite of the best-laid plans because they don’t stick to a pace they can sustain. Start with extremely small habits which your brain can quickly learn and repeat automatically. 6 These small habits should be effortless to do and should slowly build your identity. For example, develop the identity of a writer by first writing 100 words daily. Become a person who works out by doing 10 push-ups daily. Remember that you are not trying to achieve your goal, you are working to build your identity and habits by being consistent. Next, every month increase the intensity of your habit by a small amount. The increase has to be so slow and so small that you don’t feel the difference. For writing this means, increasing the number of words you write from 100 to 200 every month. For exercise this means, adding one extra rep to your push-ups every week and adding a new exercise to your routine every month. Over time the small increases you have been making will add up and you would have increased a lot. If you slowly increased intensity, after 10 months you will be doing 10 different exercises in your workout routine with over 60 reps each. To make your habit less of a burden you must now break your habits into sets. Instead of doing 60 reps in one shot, break it down into three sets of 20 reps. If you are satisfied with how you are doing, you can stop increasing. I write 1000 words every day and find that anything more is a little overwhelming to do. The habit should always be easy and never overwhelming or difficult to do. Be patient and learn how to form a habit with a pace you can sustain in the long run because only consistency brings results. Create small habits and increase in small amounts slowly to stay consistent. 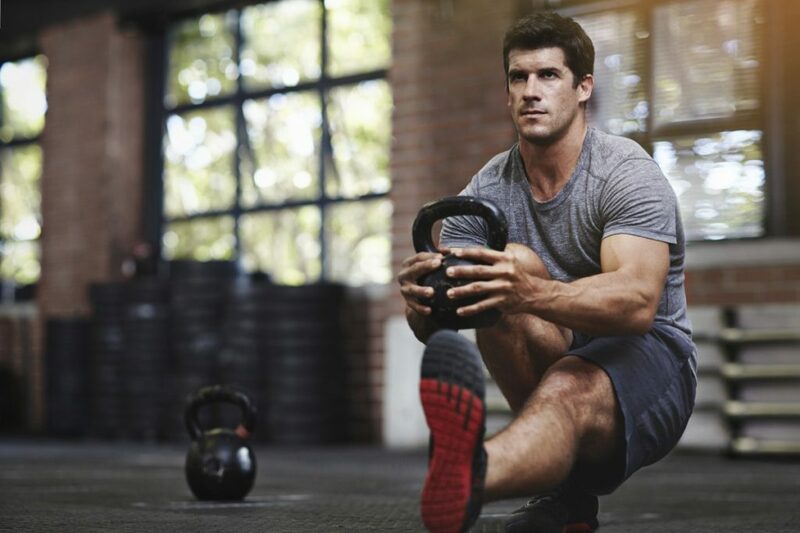 The 3 steps of starting small, increasing intensity slowly and stopping/breaking your habit into sets are part of the 10 step system to form a habit which we will cover in the second section of this post. Your habit needs a trigger to start. You need to learn how to create a habit trigger because it acts as a reminder that tells you to do your habit. There are 4 triggers that will help you start your habit. You can set a certain time of the day as the trigger for your new habits. The time drives your habit and it should not matter how you feel because you will do your behaviour whether you feel like it or not. This is like scheduling your habit. For example, every day at 6 Am, you exercise. During this time you don’t attend calls, read your texts messages, emails or do anything else for that matter. You turn off the internet, your phone and unplug your TV. You either do your habit or sit still. Working can be a dangerous form of procrastination. You can trick yourself into thinking you are busy by doing everything other than what is required. You can sit still and when you feel you are stuck you will start doing the habit you planned to do just to pass time. After enough repetitions, the time will become a trigger for your habit putting you in the right mental state to do the work. You can use your existing behaviours as triggers for your new behaviour. I workout before I shower. I do yoga after I meditate. One existing habit acts as a trigger for a new habit. Your environment or location can be used as a trigger. Most of the time your habits are just a response to your environment. You can use entering your bathroom for a shower as the trigger to meditate for 5 minutes. You can use events that happen as triggers for new habits. Every time you receive a message on your phone, you breathe in for 30 seconds or drink a sip of water. Triggers help you start, but even with if you enjoy doing your habits, you will still struggle to do your habit on some days because of the inertia of starting. You need to know how to create a habit routine to overcome this. No matter how much you enjoy doing your habit, there will be days when you don’t feel like doing it. Usually, the hard part is starting. Once you get started, continuing to do your habit is going to be easy. To help you get started, design a routine that triggers internal events that will put you in the mindset to do the habit. For example, instead of trying to find the motivation to go jogging every morning, just make it a habit to put on your shoes every day and step out. Don’t even think of running. Once you do this, you will get the ball rolling and end up jogging. Putting your shoes on might not have helped your fitness, but it would have got you started which is often enough to lead you all the way to the end. This happens because of a psychological phenomenon called behavioural momentum. 7 Once you walk down a path, your mind feels compelled to keep walking. Once you start taking action towards your goal, you will keep moving towards that goal even if you no longer want to achieve it. Behavioural momentum makes pursuing large goals and doing new habits extremely easy. But it can also work against you. If you decide to skip your habit for one day, your mind will start going down that path and you will feel like skipping more in the future. A routine will help you use behavioural momentum to overcome the inertia of starting. You need to learn how to form a habit routine because the routine needs a few elements for it to work. The routine should be so easy that you cannot say no to it. For example, your routine to go jogging might be to put on your shoes. When you don’t feel like jogging, you can tell yourself to just put on your shoes and step out which is enough to get started. Your routine should make you physically move and it won’t work if you are trying to get mentally motivated. Physical movement directly influences your mental energy required to overcome starting inertia. Your routine should quickly cascade into the actual activity that you want to perform. If you want to write, your routine should quickly get you started writing. You need to follow the same routine every time. You tell your subconscious mind that before I do this, I always do this which will help the routine instantly trigger the right mental state required to do the work over time. Incorporate your routine into the 10 step process that we will cover in the second half of this post. How convenient it is to do your habit will influence your ability to stick to new habits. Make a habit convenient by, reducing the number of decisions you have to make or by increasing visibility. For example, I signed up for a one year gym membership but only worked out 4 times in the gym in the entire year. Two months after my gym membership expired, I realized that my failure to exercise was because it was too hard for me to go to the gym. I got a couple of weights and started working out at home every day. Figuring out how to make a habit more convenient, will help you stick to them. You can make your habit convenient to do by improving visibility. When I wanted to exercise at home, I used to keep my weights in the storage area. It made me skip more workouts initially because of the steps involved in taking the weights out and exercising. I then moved the weights to my bedroom where I could easily see it. I just have to pick my dumbbells up and exercise. Improve visibility by removing any barriers. You make your habit more convenient to do by doing it every day. Trying to be moderate with your habits makes it difficult to form because you have to decide every time instead of just once. It is easier to form the habit of working out every day instead of 3 times a week. Understand exactly what is holding you back. You need to figure how to make a habit work for your own unique circumstances. For a long time, I struggled with making exercise a habit. I thought I was not the type of person who likes working out. But later I realized it was not really exercise that was difficult. It was going to the gym that was stopping me from working out. I also did not like working out in front of other people. I had to figure out how to form a habit for my circumstances because what worked for others did not work for me. I got myself a couple of weights and started to workout at home. I am working out every day now and the only days that I missed were the days when I was extremely sick. You might not be able to have everything in an ideal way but fixing a couple of things that are holding you back will be just the thing you need. The 10 step system in the second half of this post will help you form a habit with ease. You might think you are bad at doing something but understanding what is holding you back will teach you how to form a habit a lot better. Some people struggle to do things for themselves but find it easier to fulfill the expectations of others. They think that promises made to themselves can be broken but not promises made to others. If you fall under this category, then external accountability will work for you. Most of us have accountability at school and work. We have a boss, grades, deadlines and late fees that keeps us behaving the way we should. Lack of accountability makes us susceptible to behave worse. People break their habits and moral codes when they travel and check into a hotel anonymously. It is worth having a system of accountability for this reason. Trainers, coaches and partners are not only useful for their expertise, but are also useful for the accountability they provide. Some people find that going public about the things they want to do helps them stay on track. They are afraid of looking bad and feel there is no way out of the commitment once they make it. If you want to eat more healthy, you can announce your commitment to your family and co-workers. This is enough for some people to stick to their habits. But public declaration will not work for everybody. Some people like to keep things private and find that when they make their habits & goals public, it becomes more difficult to stick to it. But they are more likely to achieve their goals when they work on their goals in secret. Figuring out how to form a habit with accountability requires some effort and might not work for everybody. Use your understanding of yourself to determine whether external accountability can work for you. It is impossible to know every possible failure scenario beforehand, so you need to analyse failure as it happens. You will never succeed in forming habits if you are thrown off by failure and use it as proof of your incapability. I am working on the habit of waking up at 5 Am. The first day I switched off the alarm and went back to sleep. Analysing why made me install the “I can’t wake up” app on my smartphone which forces me to do a series of puzzles before I can turn off the alarm. This worked but during the weekend my afternoon naps made me stay awake at night. This made it impossible to wake up the next day. I stopped taking afternoon naps. This worked until one morning I fell asleep in the middle of yoga. The next day I changed my routine & started doing weight workouts before yoga. If I was hard on myself and treated my failure as proof of my inability to wake up early, then I would have never made it far. Instead, every time I failed, I tweaked my habit to make it more difficult to fail next time and that has made all the difference. Learning how to create a habit from failure by having a flexible mindset is the secret of how to make a habit stick. There was a study published in the Journal of Consumer Research, which was designed for a group of 30 women who were asked to think of health and wellness goals that were important to them. 8 The women were split into three groups equally. The first group had no real strategy and was the control group. The second group were asked to say, “I can’t miss my workout today”, every time they felt that they were going to fail. The third group were asked to say, “I don’t miss my workouts”, every time they felt that they were going to fail. After 10 days, 3 out of 10 women in the first group were able to stick to their goals. Only 1 out of 10 women in the second group were able to stick to their goals. But 8 out of 10 women in the third group were able to stick to their goals. You will often find yourself making excuses to not do your habits. When this happens, your words can empower you and give you control. When you say “I don’t” you are putting yourself in power and control of the situation. It is perceived as a choice and is empowering because you are affirming your willpower and determination. When you say “I can’t” you are reminding yourself of your limitations. It is not perceived as a choice and is seen as a restriction forcing you to do something you don’t want to do by betraying your sense of power. So using the words “I don’t” will help you stop making excuses and stick to your habits a lot better. If you cannot do your habit in the best way possible, it does not mean you should not do it at all. Some people quit when they don’t do their habits in an optimal way. Say you plan to exercise every day, but later you find that you have free time only on Sundays. Is working out on Sundays better than not working out at all? It is. Instead of making your goal to exercise every day, you can make your goal to exercise only on Sundays. It is still more beneficial than not working out at all. Instead of having an all or nothing mindset, learn how to form a habit that is imperfect, because it is going to be better than doing nothing. When trying to form a habit, missing multiple schedules quickly adds up and has a negative effect on your ability to form a new habit. Sometimes life gets in the way. You are too tired or don’t have enough time. If this happens, stick to your schedule in small ways by reducing the scope. If you can’t do your entire workout because you are exhausted, do just 10 push-ups instead. If you don’t have time to write your daily quota of 1000 words, write 100 words instead. Sticking to your schedule is one of the important steps in the 10 step system we will cover in the second half of this post. The cumulative impact of consistently sticking to your habits even if it is in small ways has a big influence on your long-term success of building your identity and forming new habits. If I wake up late, then I write in the evening after work. If I forget to do my 5 minutes of meditation in the morning then I will practice mindfulness at work. There is a misconception that it takes 21 days to form a habit. There is no evidence for this. How long it takes to form a habit varies from person to person and the kind of behaviour that each person is trying to form, along with their unique circumstances. The habit of flossing is easier to form than the habit of running. You should give yourself at least 66 days to form new habits. 10 Don’t be disappointed if you can’t make something a habit in a couple of weeks, because it is supposed to take a lot longer than that. How long it takes to form a new habit depends on how long you take to crave the rewards associated with doing the habit. Researchers at New Mexico State University who studied 266 individuals who regularly worked out, found many started exercising because they had free time or wanted to deal with stress. 11 But they continued and made it a habit because they started to crave a reward. The reward is the habit itself. 92% exercised because it made them feel good (i.e. they craved for the endorphin their brain provided). 67% exercised because they craved a sense of triumph and accomplishment exercise gave them. Once you begin to crave the reward even if it is a sense of small accomplishment, your behaviour becomes a habit. An external reward like a Snicker bar after a workout will only make you crave the Snicker bar and not your work out. Like the participants of the New Mexico State University study, make the habit itself or the changes brought to your life by the habit your reward. We have come to the second part of this post where we will look at how to create a habit with a step by step system, applying the concepts covered in the first half. You can easily take this system to form habits which can be used to achieve any of your goals. If you are an entrepreneur with a goal to build a successful business, you can use this 10 step system to develop habits to build your business every day. If you are a writer with a goal to write a book, you can use this 10 step system to form habits to write and research consistently. If you completely forgot about your goals and focused only on this 10 step system of habits, you will build the life you want without thinking about it. Let us look at the 10 step system in this section. Apply the 10 step process on how to form a habit discussed in this post. The first initial habits that you form should be a keystone habit. A keystone habit is a habit that will help you form multiple other good habits causing a chain effect on your life. Exercise is a keystone habit for many people. Without building habits for sleep, productivity and diet, you start doing all those things better just by exercising. 12 Another keystone habit is writing a diary every day. Writing a diary makes you more conscious of how you live your life and what you spend your time doing every day. This, in turn, helps you develop better habits and routines for success. Check out How To Write A Diary for an in-depth guide on how to form a habit of writing a diary. Let us know in the comments, the habits that you are trying to form, the challenges you faced when trying to form them and the strategies you employed to make your habits stick. ↑ Neal, D.T., Wood, W. and Quinn, J.M., 2006. Habits—A repeat performance. Current Directions in Psychological Science, 15(4), pp.198-202; Wood, W., Quinn, J.M. and Kashy, D.A., 2002. Habits in everyday life: thought, emotion, and action. Journal of personality and social psychology, 83(6), p.1281. ↑ Wang, S., 2013. Hard-Wired to Hate Exercise?. The Wall Street Journal. ↑ Graybiel, A.M., 2008. Habits, rituals, and the evaluative brain. Annual Review of Neuroscience., 31, pp.359-387; Barnes, T.D., Kubota, Y., Hu, D., Jin, D.Z. and Graybiel, A.M., 2005. Activity of striatal neurons reflects dynamic encoding and recoding of procedural memories. Nature, 437(7062), pp.1158-1161; Graybiel, A.M., 2004. Network-level neuroplasticity in cortico-basal ganglia pathways. Parkinsonism & related disorders, 10(5), pp.293-296. ↑ Milne, S., Orbell, S. and Sheeran, P., 2002. Combining motivational and volitional interventions to promote exercise participation: Protection motivation theory and implementation intentions. British journal of health psychology, 7(2), pp.163-184. ↑ Vohs, K.D., Baumeister, R.F., Schmeichel, B.J., Twenge, J.M., Nelson, N.M. and Tice, D.M., 2008. Making choices impairs subsequent self-control: a limited-resource account of decision making, self-regulation, and active initiative. Journal of Personality and Social Psychology 94, no. 5 (May): 883–98. ↑ Amabile, T. and Kramer, S., 2011. The progress principle: Using small wins to ignite joy, engagement, and creativity at work. Harvard Business Press. ↑ F C Mace, F.C., Hock, M.L., Lalli, J.S., West, B.J., Belfiore, P., Pinter, E. and Brown, D.K., 1988. Behavioral momentum in the treatment of noncompliance. Journal of Applied Behavior Analysis, 21(2), pp.123-141; Nevin, J.A. and Grace, R.C., 2000. Behavioral momentum and the law of effect. Behavioral and Brain Sciences, 23(01), pp.73-90. ↑ Patrick, V.M. and Hagtvedt, H., 2012. “I Don’t” versus “I Can’t”: When Empowered Refusal Motivates Goal-Directed Behavior. Journal of Consumer Research, 39(2), pp.371-381. ↑ See Halvorson, H.G., 2010. Succeed: How we can reach our goals. Penguin, 173–81; Heath and Heath, Switch, 290; Gollwitzer, P.M. and Sheeran, P., 2006. Implementation intentions and goal achievement: A meta‐analysis of effects and processes. Advances in experimental social psychology, 38, pp.69-119. ↑ Lally, P., Van Jaarsveld, C.H., Potts, H.W. and Wardle, J., 2010. How are habits formed: Modelling habit formation in the real world. European journal of social psychology, 40(6), pp.998-1009. ↑ Finlay, K.A., Trafimow, D. and Villarreal, A., 2002. Predicting Exercise and Health Behavioral Intentions: Attitudes, Subjective Norms, and Other Behavioral Determinants1. Journal of Applied Social Psychology, 32(2), pp.342-356. ↑ Oaten, M. and Cheng, K., 2006. Longitudinal gains in self‐regulation from regular physical exercise. British journal of health psychology, 11(4), pp.717-733. I’m trying to form a habit of drawing. But ultimately, I want to form a habit of creating – working on my ideas (automatically, in iteration). There are successful moments, but it’s not yet a habit at this point… been failing and tweaking a lot, still working on it. I am also figuring out how form a habit of drawing. My plan is to start by spending an hour on Sundays. You might want to do it more frequently than that. For drawing to become a habit you should start craving for the feeling you get when you draw. You know, the mental state where time and words seize to exist because you start using your right brain by shutting down your left brain. Do apply the 10 step system in this post to form a habit and let me know how it went for you.